Dog Bite & Injury Lawyer Seminole FL | DeLoach, Hofstra & Cavonis, P.A. You Were Hurt by a Dog, Get Qualified Legal Help Now! In Florida, dog owners are strictly liable for injuries caused by their dogs. This means that unless the dog owner can prove you were harassing the dog or trespassing, they are liable for your injuries. Dog bites are the most common form of injuries caused by animals, but they aren't the only ones. Sometimes bicyclists and joggers have fallen over dogs that were not properly restrained by their owners, causing serious injuries. It is important to realize that dog injuries don't have to be in the form of a bite to seek financial compensation. 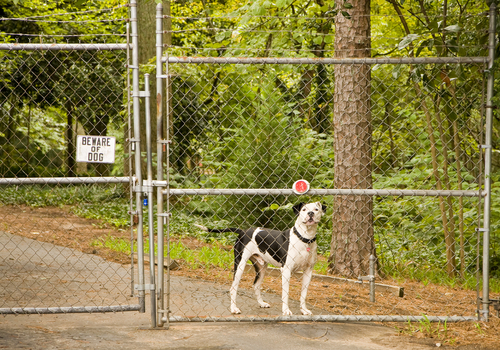 Florida has rules and laws requiring owners to set well-built boundaries and appropriately constrain animals. While most dog owners obey the rules and laws, some do not and the results can be devastating. Dogs that are not restrained properly by their owners are typically the cause of serious injury. That is why top dog bite lawyers can be so valuable in getting you a dog bite or animal injury settlement in Florida. Dogs are our best friends. But when dogs turn viscous, they can be very intimidating, especially for a child. Multiple deaths are reported each year as a result of vicious dog attacks and about 800,000 Americans seek medical attention each year for dog bite injuries. Unfortunately, about half of these victims are children. Many times a dog bite case will result in permanent scarring, nerve damage and a significant risk of infection.Often, there is psychological harm that lasts well beyond the physical personal injury.The number of dog bite incidents is steadily growing, increasing by over 30% in the last decade even though the number of dogs has only increased by 2%. According to the Centers for Disease Control, every 40 seconds, someone in the United States seeks medical attention for a dog bite related injury. The owner of a dog is responsible for the behavior of the dog and any events or accidents that occur because of the dog. If you've been injured in such an incident, DeLoach, Hofstra & Cavonis will be able to give you the legal guidance you need. Report the incident to Animal Control so a formal report can be made. Preserve all available evidence by taking photos, if possible, of the scene, the animal and any visible injury you have. You may have a great deal on your mind during this difficult time, but your recovery needs to be your first priority. Often times, dog bite victims are compensated for their injuries by the responsible party’s homeowners’ insurance policy. With our attorneys serving as your supportive legal team, you can focus on your rehabilitation while we concentrate on obtaining any compensation to which you are entitled. If you are recovering from a dog bite, you may be hesitant to contact a Florida dog bite attorney thinking you will be responsible for paying attorney's fees. At DeLoach, Hofstra & Cavonis, P.A. you won't have to worry about fees because you will not responsible for any animal bite legal fees or costs unless there is a recovery. We will advance all of the costs necessary to aggressively pursue Pinellas County dog bite lawsuit. Contact us now at 727-397-5571.